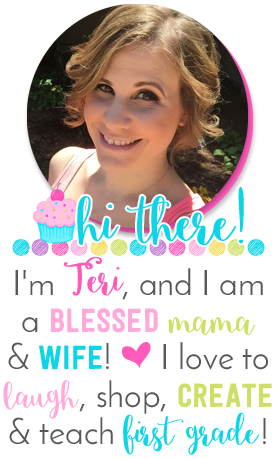 The blog post title says it all-- A Cupcake for the Teacher LOVES TpT! And so do the girls over at Freebielicious... which is why we are teaming up again for another FAB-U-LOUS giveaway!! I joined TpT in December of 2011… just over two years ago. I remember reading other teaching blogs, browsing shops, and thinking, "I think I can do this!" And then asking my husband, "Do you think I can do this?!" Of course, he said YES, so I went for it. And I'm SO glad I did! Teachers Pay Teachers has been a financial blessing. It has given my husband and me the opportunity to save money for our family and home. :) We are SO thankful for the extra income! Creating products for TpT has given me a creative outlet. It has allowed me to share my ideas with teachers around the world. It has also provided my classroom with a one-stop-shop for the BEST teaching resources around. TpT and blogging has given me the chance to meet teachers from all over the country. These girls have become good friends. We can talk to each other about anything and everything… and trust me, we do!! Back to the giveaway! I am offering a $10 gift certificate to TpT! All you have to do to enter is use the Rafflecopter below. Easy peasy! Don't forget to stop by Freebielicious for the big ones! I LOVE TpT for all the amazing resources that I find and for all of the inspiration that I'm getting from the incredible bloggers and sellers! I've been inspired and I'm in the process of setting up my own! I love TPT because it is a great creative outlet! I do not make a lot of money...yet! but when I do the money will help pay down my school loans...new teacher problems ugh! I also have a clip art addiction that TPT seems to help along :-) P.S. I love your fonts!!! I love the fact that it has something for everyone and it promotes saying thankful through the credits for feedback. I love TpT because I can easily find engaging, creative materials to reinforce the topics and skills I'm teaching. I love TPT for all the great resources, ideas, and people I have met! Love being able to find materials on any topic with the click of a button! I love TpT because it gives me new ideas and inspiration for my classroom every day! I know I can always find what I am looking for when I search TpT. So glad I stumbled across your blog! I love TpT because I think it is a fantastic way to give credit and respect to all of the incredible, out-of-contract hours we put in as teachers to learning that much more meaningful for our students. TpT is a gateway to becoming better teachers. The items sold have made my teaching so much more exciting because the activities are so engaging. Thank you for sharing all your talents on TpT!! I love TpT because you can find anything you need! I am so excited to get more involved with creating and selling products!! I love TPT! It saves me so much time. My family thanks you too. I love TPT for all the new ideas and activities to use in my classroom! I love TPT for the great teaching ideas and resources. I can find everything imagined on TPT. I Love TPT, saves me a lot of time, which I know is precious to all of us these days. So many great materials, I find something new every time I visit. Thank you and all others for your hard work and dedication. I love TPT because it offers a variety of creative activities and it saves me so much time. Love the awesome resources and activities! I love TPT because it is so easy to use and the resources I find are awesome!! I love teachers pay teachers! I don't know what I would do without it! 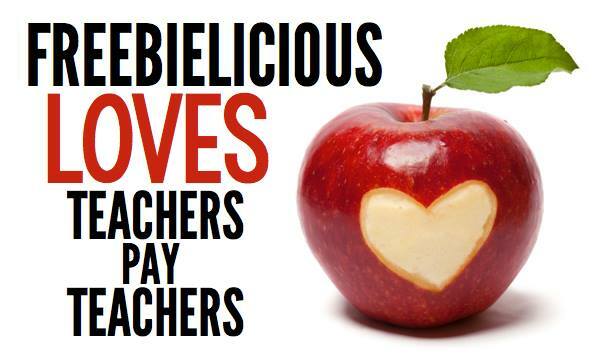 I love teachers pay teachers for all of the ideas I get and freebies and products I buy. I think it is a great resource and it helps me be a better teacher. I love the creative resources! Love all of the wonderful and creative resources. They definitely help me to be a better teacher. Your Writing Center and Reading Strategy Posters are my favorite purchase! I love and use your fonts all the time as well! I love all of the great resources that I can shop for from my home! I love TpT because I have found so many wonderful things to do with my students! I loooovvve Teachers Pay Teachers!!! It is full of great lessons and crafts that help make my classroom a fun place to learn....and I think it is awesome that teachers are willing to share their hard work and get paid for it! Thank you for all of the great resources you have created over the past 2 years!!! I love Tpt for all the wonderful ideas. Thanks for the great giveaway! I also love Teachers Pay Teachers! I love TPT for their great resources which are real time savers for me. I love TPT because it is an amazing resource for all teachers. It is a great sense of community that can share ideas all for the greater good. Plus I would much rather give $$$ to my fellow teachers. Thanks for all the classroom ideas and resources. I love TpT because I get to buy great things for my kids that fabulous people like you create! I love your stuff! I love TpT for all the relevant resources I find to use in my classroom. I love I can shop from my couch anytime. I LOVE TPT because I am amazed at how truly talented we are as teachers!!!! I have no idea how to create all the things that you do....TPT is always a life saver!!!! TPT could not have come at a better time! I had just finished my first year of teaching (what a tough one!) and found TPT. It completely revolutionized the way I taught and gave me the guidance I wasn't getting from my team members. My bloggers on TPT became my support group and have made me a better teacher. Thanks TPT and teachers! I love TPT because it's a wonderful community of teachers! I love TPT because of all the wonderful inspirational ideas that help make my classroom fun and engaging! Cupcake!!! You are truly the best! I am SO lucky to have you in my life! Can't WAIT for June!!! I love tpt because I can find some great products there and they are a great bargin too! I love TPT because it allows us as educators to be creative, earn extra income & work smarter- not harder! I LOVE TpT because I can always find amazing resources that fit exactly what I'm teaching! Not to mention that everything is made by teachers...that's the icing on the cupcake! I love TPT because I'm a new teacher and it helps me enhance my lessons with cute, fun, and affordable resources! I LOVE TPT...because even after 29 years of teaching YOU STILL can TEACH AN OLD dog new IDEAS!!! LOL Thanks for a great place to find great ideas by folks who understand what we need...: TEACHERS who help TEACHERS have great lessons...Thanks so much! I love TpT for all of the amazing resources that I find! No matter what subject area I am looking at...I always find a wealth of incredible resources! I love the variety of resources created by teachers! I love the amount of resources available - no matter what I'm looking for, it is there! I also love being able to help buy thing for my classroom without breaking my own bank account! I love the amount of amazing resources that are made by TEACHERS !!!! I love TPT because I can find exactly what I need and get high quality resources for a good price. I really appreciate all the creative ladies that produce and share their products on TPT. Thank you! I love TPT because it is a huge time saver. I also love all of the freebies! I love TPT because it brings together the best resource we have as teachers...other teachers! I love TPT because I can always find new, highly engaging learning activities for my kindergartners! I love TpT for all the quick and east resources that I find to help supplement my curriculum! Great prices and awesome teaching resources!!! I love TPT! They have amazing resources at a great price! I love finding great resources for my classroom that enhance the curriculum. I love the amazing things I find on TPT. I never go to the teacher store anymore because I find everything I need on TPT. I love everything I find. Every month I find more things I want to buy. I love TPT because teachers always have the best ideas! Thank you for everything that you have shared! I love TpT because it makes things so much easier for me and I'm a much better teacher because of it! I really love TPT because I get so many wonderful resources for my lessons. I would love to sell on TPT some day. I love all you do! I can always find just what I need on TPT....love it! I love all of the wonderful products made by other teachers!! I love all the resources!!! TPT has totally energized my teaching! I love how much time it saves me! I love TPT because it a great resource all subjects! I love the creativity that can be found on TPT. How did teachers teach before TPT?!? The resources are amazing and I love the time I save not having to reinvent the wheel! I love TpT because I can find fun and engaging lesson for my students!!! I love TpT because without them I would not have found all of the wonderful items that I can use in my classroom to help my little babes succeed. Thank you for all you do! I love TPT for the wonderful things that the teachers would share with other teachers. TPT has made teaching so much fun! The resources are endless and I love looking for new ways to keep my students interested! I love all the variety and creativity. I love TPT and all the wonderful ideas!! I love all the products TPT has to offer! TpT has really saved me this year with my little newborn baby. Love all the creative things that other teachers are willing to share! thanks for making me a better teacher! I love TPT for the new ideas. I love all the different types of resources I can get! I love TPT! I can easily find anything I need to enhance my lessons! I love TPT! I can easily find anything I need to enhance my own lessons. I love TPT because it offers so many wonderful resources to help strengthen my lesson plans. I can always find one or two resources that take my lesson to the next level.